Why not add your name to our e-mail list and never miss another concert? - see the Contact Us page. (Sopranos, Altos, Tenors and Basses). The declared objectives of the society are to educate the public in the arts and sciences, and in particular the art and science of music, in the presentation of concerts and other activities. The Society is always open to receiving new members. There are no initial auditions, but the ability of new members to blend with the choir will be reviewed by the conductor after a few weeks. An annual subscription is payable to meet the running costs of the society. Members are asked to complete a Gift Declaration form, where appropriate, so that the society can claim back the tax that they (or their spouse or parents) have paid on the subscription. The Society usually performs three concerts a year. High quality soloists and / or instrumentalist are engaged for the performances - using local talent, wherever possible. 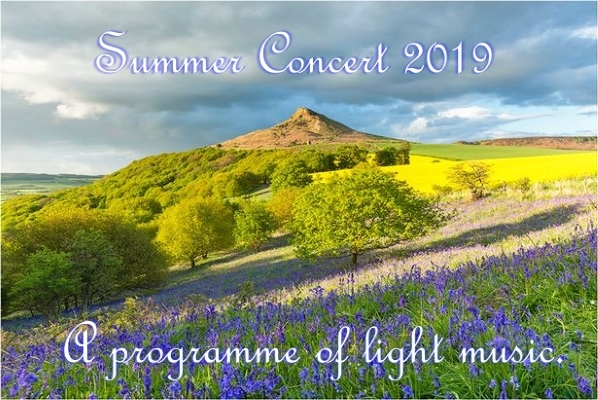 Normally two of the concerts are performed in the Parish Church of St Nicholas, and the Christmas Concert in the Guisborough Methodist Church. The choir rehearses each Wednesday evening during term time, between 7.30pm and 9.30pm, in the Main Hall at Sunnyfield House, Westgate, Guisborough. TS14 6BA. The society usually provides scores for rehearsals. However, many members prefer to have their own copy. If you are considering purchasing your own copy, please first check which version is being used by the society, and secondly, consider buying via our local ticket seller: The Guisborough Bookshop in Chaloner Street, Guisborough.